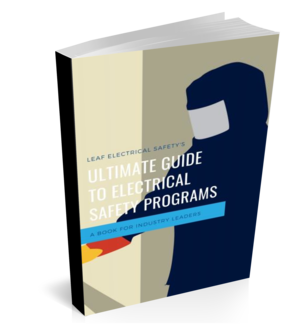 When trying to decide what electrical safety training is right for you or your crew, first make sure you know what is going to be covered during the training session. If you are looking at a one-day training and trying to just hit the basics, then these are the top 5 items I recommend you make sure are included. Scare tactics might work for some people, but I feel that only showing videos of arc flash explosions or graphics photos of people who have suffered burns from shock and arc flash incidents is not enough. Providing real information about the effects that shock and arc flash have on the body at certain voltages and energy levels backed up with real life scenarios and descriptions of what is happening can provide workers with a much better appreciation for just how serious electricity is. After walking out of a one-day training session everybody in the room should be able to perform a shock and arc flash risk assessment on any piece of equipment in any facility. This might sound like a bold statement but that is just how critical this piece is. Without understanding how to determine the magnitude of the voltage and the amount of arc flash energy present coupled with the likelihood of getting a shock or creating an arc flash, no one should even consider trying to work with energized equipment. The bread and butter of electrical safety training. Establishing an electrically safe work condition is the single most important procedure any electrician needs to learn. This is the absolute best way to mitigate the hazards (by eliminating them temporarily) and this procedure can be used everywhere on any piece of equipment. For one reason or another figuring out what personal protective equipment to wear while working on electrical equipment seems to be a very confusing thing. It doesn’t have to be and really shouldn’t be. A good training session will clear the air on this as well as deliver the appropriate information on completing pre-use checks and inspections as well as long-term maintenance requirements (like having your rubber insulating gloves recertified). Most of the training will be centered around explaining what the hazards are and how to avoid being injured by them, but something that you cannot skip over is knowing what to do in an emergency. Emergency response planning is like fall-arrest training because you have minimal time to react in an electrical incident you need to be prepared before anything ever happens. Going through the required steps for an effective emergency response plan and understanding its importance is critical for your training session to be complete. Before you sign up for your next session make sure you take a good look at the course curriculum and that it has at least these 5 items. Feel free to comment below and let me know if I missed any.